Also called the Rhineland Heavy Draft & the Rhenish Cold Blood, the German Cold Blood horse is less than a century old and their numbers are rapidly declining. 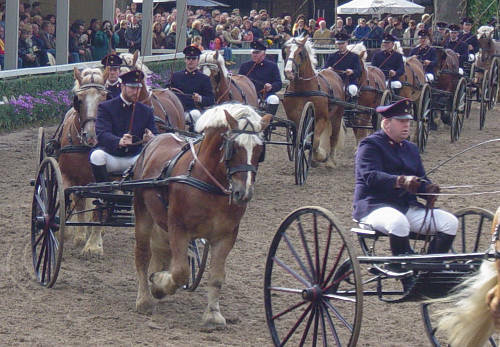 Their bloodlines began late 19th, early 20th century and was mainly Belgian Draft with a combination of draft animals from neighboring countries. Do you have images or know more about the German Cold-Blooded breed? I’d love help completing this page, please contact me to get involved.